Moonless nights in Desolation Sound are the perfect opportunity to experience a truly surreal sight. 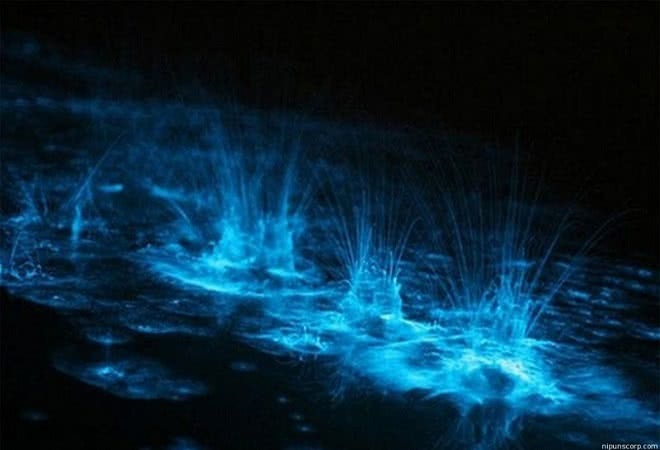 Most people have heard about ‘bioluminescence’, but many have never experienced for themselves. This magical phenomenon is explained by millions of minuscule phosphorescent plankton dancing beneath the waves like tiny fireflies. This natural wonder is prevalent throughout Desolation Sound in the warm summer months. Don’t waste your time searching for it during the day though, the show is only visible in the dark of night. At Cabana Desolation, we understand that half the experience is complete immersion in your natural surroundings. Well, swimming amongst this incredible display of light is as immersive as it gets! 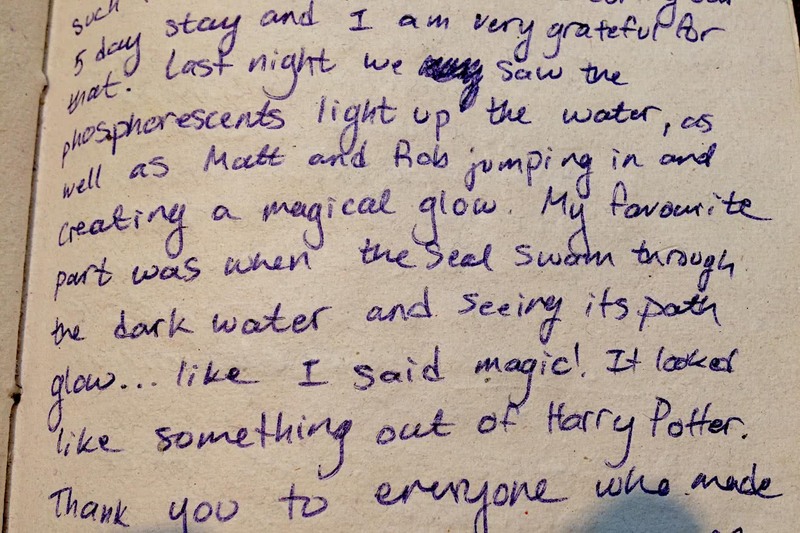 Our guests often describe swimming amongst the illuminated water as a once in a lifetime experience akin to the Northern Lights. Whether you decide to swim amongst it or watch from shore, it is sure to be a memorable experience. In recent years – despite the preponderance of wildlife and the stunning landscape of Desolation Sound – it has been the experience of this natural wonder that has captured the imagination of our guests. Indeed, many eagerly state that the experience was the highlight of their trip! Grab a paddle board and witness the display with every silent stroke of the paddle. Or you can stand up on the point and watch seals swimming and playing below you with a magical glow. Whether it’s the first or hundredth time you’ve witnessed this magical event, we guarantee that the bioluminescent experience at Cabana Desolation will stay with you for a long time to come.